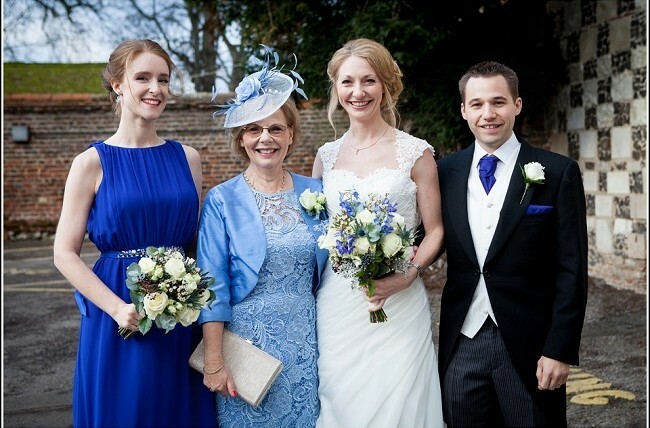 With thirty weddings in 2015 for The Garden Room and our first wedding of 2016 coming up in February, there hasn’t been a moment to update this page! Huge apologies for that. 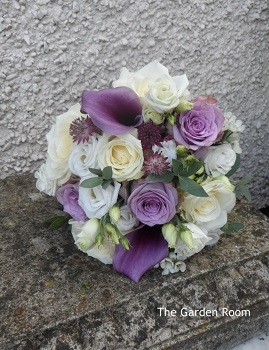 But as we’re now into 2016, we simply can’t go on without mentioning some of our fabulous 2015 bouquets. Here goes! 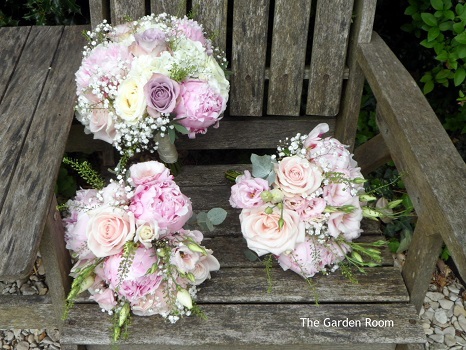 Here you can see the difference between the very naturally arranged “country style” bouquet and a more contemporary, rounder bouquet. 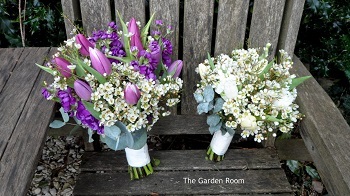 Both gorgeous, of course, but each is suited to a particular style of wedding. 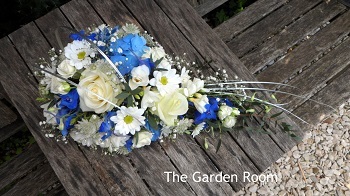 You can also choose a shower bouquet. They became much more popular in 2015. They do take more time to create, but the effect can be quite stunning. 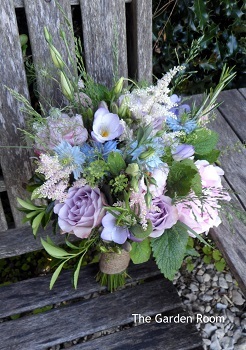 Pastels are always popular but these bouquets stood out because of what has been added to the arrangement. 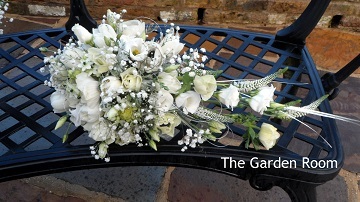 Ask for something fragrant such as herbs or freesia in your bouquet. Rosemary is the herb of love and remembrance and myrtle is the Hebrew symbol of marriage. 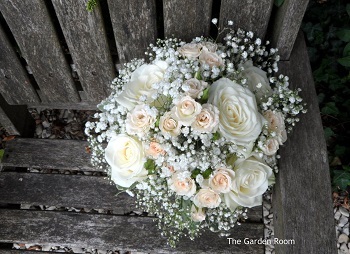 Gypsophila is particularly popular as well, but for variation you could choose wax flower instead. 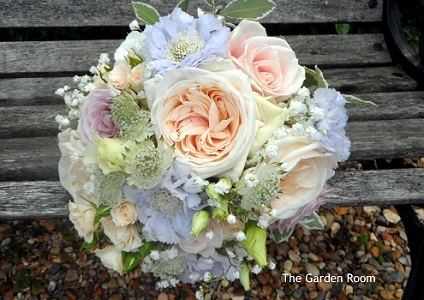 David Austin roses are probably the ultimate in luxury and are a big hit with brides. 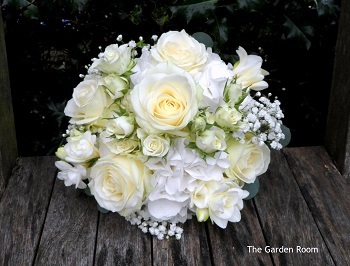 Here we used a Columbian garden rose White O’Hara which is very similar and has a lovely fragrance. 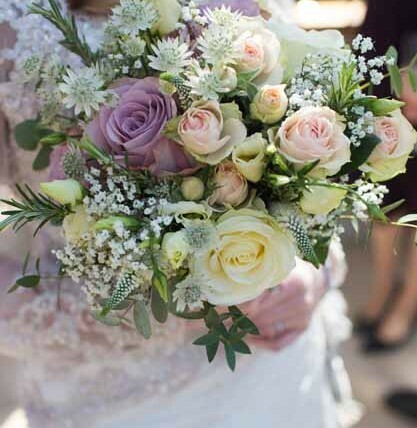 Your wedding day will probably be the best day of your life so choose the most beautiful flowers for your bouquet and make it a bouquet to remember! 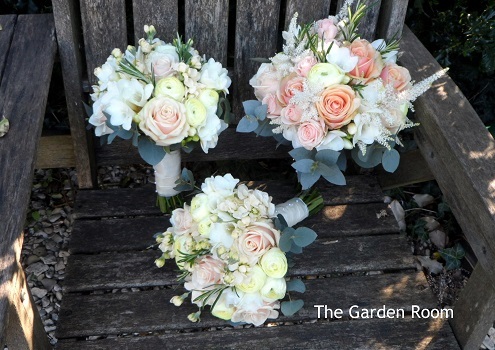 For the bridesmaids, you could choose smaller spray roses in the same colour. Lastly, for an inexpensive but dramatic bouquet, you can create a fantastic bouquet using one large hydrangea head surrounded with foliage. What could be simpler! 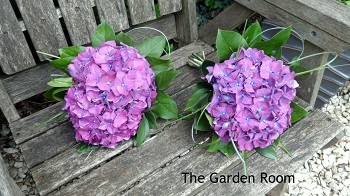 When working with hydrangeas, sometimes they can look heavy in a bouquet. 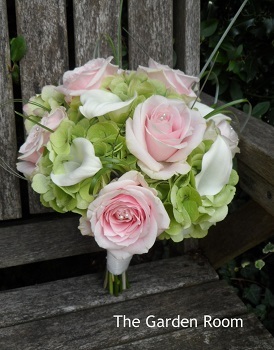 Your florist should be able to separate the large heads with other flowers to achieve a softer look. To enquire about our services or for more information please contact us via phone or email.